Ukulhas can be a perfect destination for spending a relax holiday. Sunbathing, Snorkeling and Swimming are the most enjoying activities while here. Those who are interested in doing some activities other than snorkeling around Ukulhas, we can organize varieties of excursions or activities for our guests to enjoy. It can be work trying at least one activity to make your holiday perfect. There are hundreds of beautiful snorkeling spots around Ukulhas. On a snorkeling safari, we take you to three beautiful spots in the ocean surrounding Ukulhas. The snorkeling safari will present you a different viewonto Ukulhas’ underwater nature, so give it a try. You will see different kinds of reef, countless fishes, and occasionally even turtles. By choosing the best spots for the current weather conditions with good visibility and clear water, we will make this an exciting trip for you. Sand Banks are small sandy islands without vegetation. Crystal clear water, turquoise water lagoons, white powdery sandy beaches, and the sunny skies will make this a special trip that you will keep in your memory for a long time. The surrounding reef grants you perfect possibilities for a round of snorkeling. This is a must see and the most popular one among all trips. Manta rays are very friendly sea creatures. The chance of being able to view them are about 95% per day. The Manta spot is situated about 15 minutes from Ukulhas, and if you go there you will see yourself snorkeling with manta rays in no time. This trip takes you to a dolphin school. You will get to see countless dolphins swimming nearby the boat and jumping out of the water right next to you. The dolphin spot is situated about 25 minutes from Ukulhas, and there is a 90% chance to see them on a calm day. The Whale Shark Spot is situated about 1 hr and 20min from Ukulhas. However, with a little luck it is possible to sometimes view whale sharks just about 20 minutes off Ukulhas. Taking an adventurous trip looking for whale sharks can become an exciting highlight of your holiday. You can add value to the trip by adding a picnic island trip to the whale shark trip. That way you will get some rest half way through the trip, and the chance to relax and unwind on an idyllic island. One of the best activities for anyone who likes to experience and enjoy the life of the sea, the sand and the sun. The picnic island is situated about 25 minutes away from Ukulhas. Enjoy a day out with crystal clear water, white sandy beaches, and colorful lagoons. A snorkeling round represents an additional bonus onthis trip. We prepare for you a beach dinner full of atmosphere. While enjoying the sunset, the romantic dinner may become one of your most lasting memories. If you like we arrange that you can take pictures, or employ a professional photographer taking pictures for and of you for a small fee. Dinner will be served just before the sunset, and you may take all the time you want afterwards until late at night. Enjoy the breathtaking view of a sunset in the open ocean, while drop line fishing at night at a fishing spot nearby Ukulhas. Then eat the fish you have caught prepared to your liking or in the typical Maldivian BBQ style. Start your day like a genuine Maldivian Fisherman. Opposite to the sunset fishing, this is the sunrise fishing. A one-of-a-kind activity to start your day in the nature. 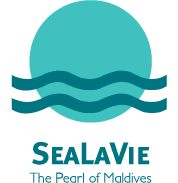 A great opportunity for you to experience some Maldivian style of food. We serve you the Barbeque fish for lunch or for dinner, just as you please. The price includes food and drinks just as our half-board meal plan. Fushi is a very small island just one mile off Ukulhas. Enjoy the solitude of this small island in a quiet and peaceful nature. Guests will be dropped off there by a small motto boat, and will be picked up again at an agreed time. Since you are visiting a local island of the Maldives, it is worth experiencing some part of the Maldivian culture by enjoying a dinner in a Maldivian house. Food and drinks will be served to your liking, topped with Maldivian desserts. Enjoy a genuine meal in a local house. Visiting a resort island nearby Ukulhas is exciting and worth a try. The resort island has its own day visit package plan. The transfer costs depend on the resort you will choose to visit. Another exciting method of exploring Ukulhas Island is going around it in a kayak. The kayak water ride will be a nice experience, and you can enjoy the view onto Ukulhas from all sides. If you like to visit another indigenous island of the Maldives, we will be glad to arrange a trip to another local island in the vicinity of Ukulhas. Island hopping will be made on a small private boat.